Do you remember a couple of weeks ago when I mentioned how you could Save 15% off of gift sets for girls by SmitCo. I was sent two of the sets for my special tweens B and T to try out. All opinions of the sets are 100% ours. We had the Sweet Crush nail set that glowed in the dark, and the Sparkling animal print stickers. On the website, they are part of the same gift set. The girls were very excited to open the sets and get started while my daughter decided to join in as well. B was not wearing any nail polish so she put the stickers on both her nails and her toes. 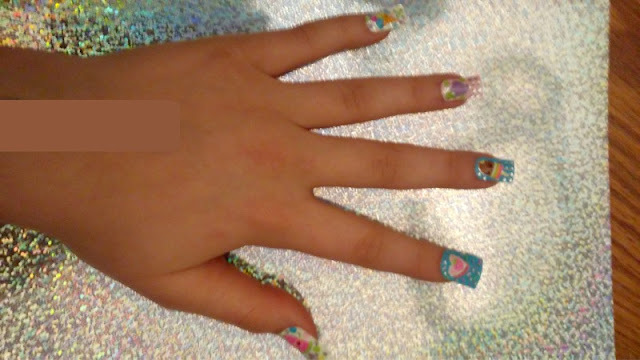 T had polished her nails the day before and did not want to remove it, so tried out the stickers on top of her polish. She also did her toes. The sets included stickers in two different sizes to fit both fingernails, and toenails, several patches, nail files, nail sticks and top coat polish. 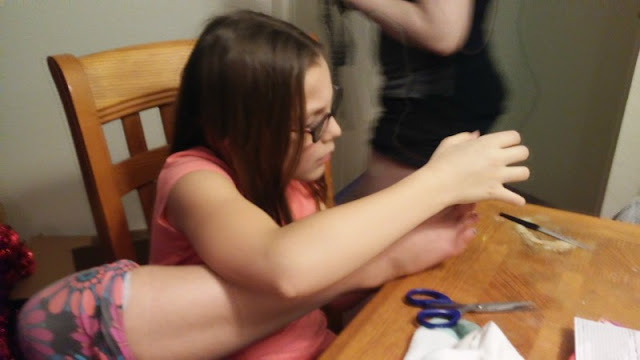 B putting on her nail stickers on her toes with great flexibility. Ts hand after trimming and shaping. 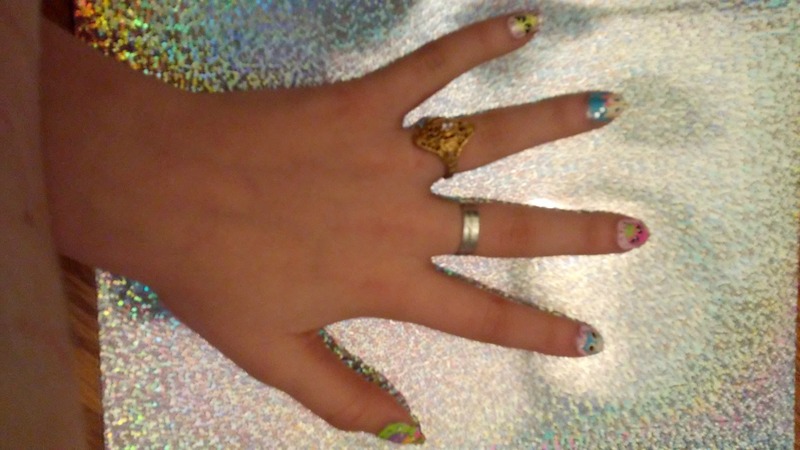 My daughter helped the girls take their pictures of their hands, and did not take one that was close up. We still have a few left, maybe I will get one next time. She also did not get any photos of their finished feet. 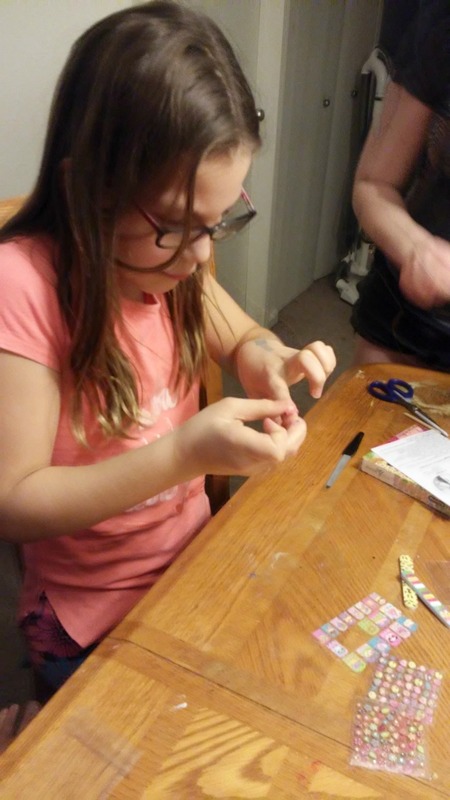 The girls had a lot of fun working with these nail sets. I asked them for their honest opinions, and this is what they said. Since T already had nail polish on her fingers, they did not stay in place as well as they would have had she had clean, unpolished nails. 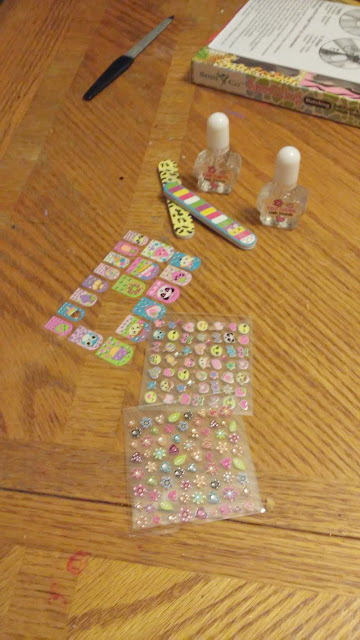 (like it says to do in the directions) Both B and T said that they had to trim some of the really cute designs off, because their nails were different sizes than some of the stickers. If you have really big or really small hands and toes, the stickers may be harder to fit. They would both use them again though, because they were a lot of fun to work with and they love being creative. 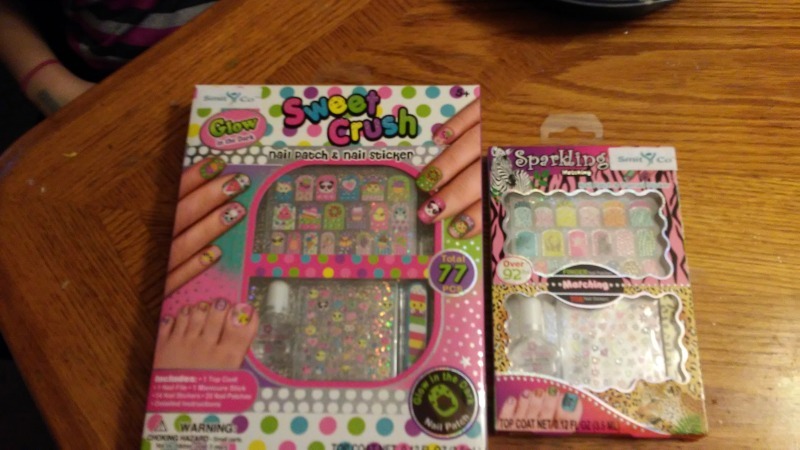 These sets were perfect for the tween age group. If they are for girls who are younger than that, they may need some extra help while doing their nails. 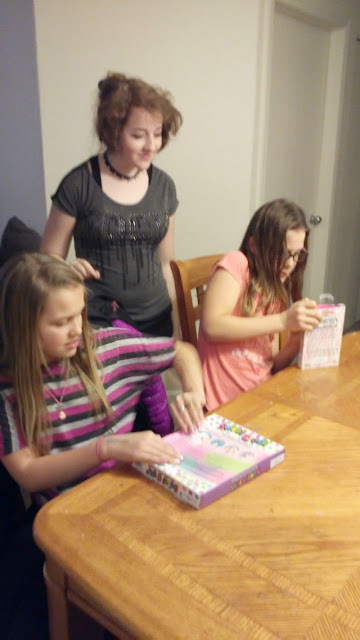 If you would like to check out the nails set we used, or any of the other gift sets for girls, you can find them here.